Over the past decade, competitive and cooperative multiplayer online games come to dominate gaming sales. As a result, the market for gaming headsets, headphones and microphones have risen. 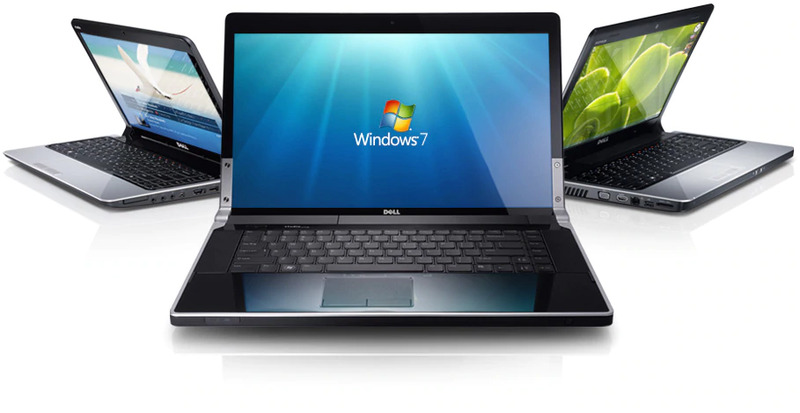 There is a broad range of gaming headsets that meet a growing demand for all-in-one devices. Similarly, high-quality headphones and separate microphones are increasingly popular among gamers who want a distinctly high quality of audio input and output. There are some benefits for both headsets and separate headphone and mic setups. A gaming headset will provide the kind of all-in-one package that makes things just a bit easier while also requiring less surface area, especially if you’re purchasing a standalone mic. However, many headsets have noticeable limitations in either headphone sound reproduction quality, microphone quality, or both. Meanwhile, buying a separate pair of headphones and a microphone can result in good quality from both devices and better value for your money. Still, a few quality headset 0n the market can offer similar values and functionality at certain price levels. As such, good quality can be found across the spectrum of gaming headsets, headphones, and mics. Nonetheless, individual gamers will have preferences. We’ve tried to cover the range of devices gamers are currently using to for their online multiplayer gaming. We’ve poured over reviews and forums to identify the headphones, headsets, and microphones that most gamers point to as having either the best quality, the best price or both. 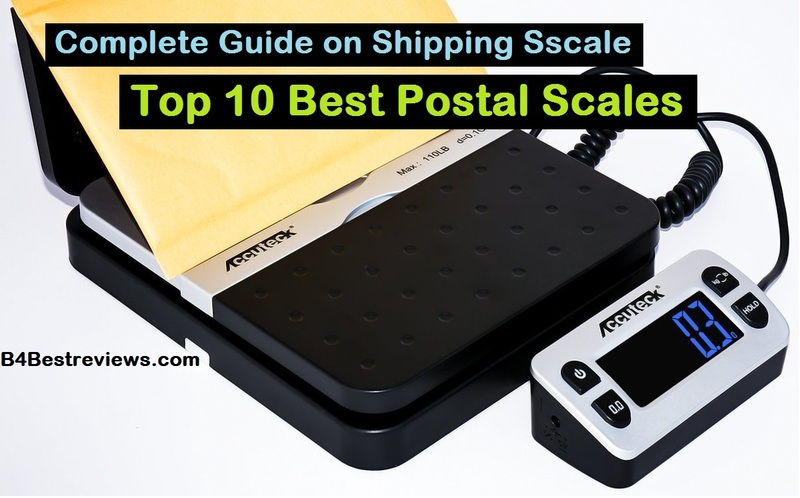 You’ll find an unbiased analysis of each product below, with a useful table summarizing the specs and numbers for each. 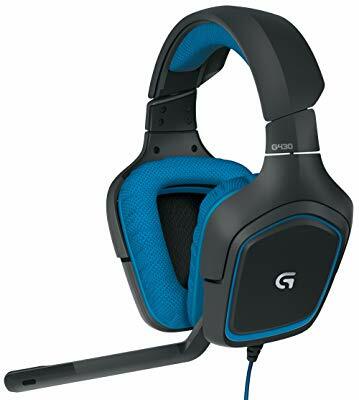 The Logitech G430 has a lot in common with the HyperX Cloud II headset. Both have digital Dolby 7.1 surround sound. Both utilize a boom mic that cancels ambient noises. Both have 3.5mm input and output cables for the mic and headphones. Both come with an adapter in the case that you don’t have ports for both. Both are over-ear, closed back noise isolating devices. As such, their core features are fairly similar, which may make it difficult to decide between the two devices. However, there are some significant differences between the two, with some noticeably different users opinions, that may help those interested in buying a gaming headset choose to make their choice. The Logitech G430 has a noticeably smaller driver unit: 40mm, as opposed to the 53mm driver unit, found on the HyperX Cloud II. The frequency response for the Logitech G430 is also fairly narrow. The frequency response sits between 20Hz to 20kHz. This puts the frequency range on these headphones right at the average human hearing range. However, the rather narrow range also misses out on some higher and lower frequencies sounds which may exist in some games and could lead to a general loss in the gaming experience as far as sound goes. The sound pressure level is also fairly low at 90dB. The impedance level is 32 Ohms, so you won’t need an amp to get the best sound reproduction out of these. However, that lower impedance level and lower sensitivity level will result in better quality sound out of these from a wireless console controller than with the HyperX Cloud II. The numbers on the boom microphone are also noticeably different on the Logitech G430 over the HyperX Cloud II. Like the headphone response range, the microphone response range is slightly wider at 50-20,000Hz. The sensitivity level is -40dB. The microphone on the Logitech G430 is not replaceable. If you find it stops working or that you don’t like the quality of the mic, you can’t easily replace it. It can be turned off and folded up, and you can still utilize a separate microphone, but the inability to replace the included mic on the headset makes the Logitech G430 a bit less versatile than the HyperX Cloud II. Because these are Dolby 7.1 surround sound devices, they utilize a USB connection through the adapter. This is not necessary to use them, but it is necessary to achieve the Dolby 7.1 surround sound. Whether or not that’s useful to you depends on the games you’re playing and the gaming device you’re using it with, however. The headset is significantly cheaper than the HyperX Cloud II, making it a bit more appealing for those who would tend more toward the HyperX Cloud II but who don’t want to spend that kind of money. Primary complaints about this headset lean toward the headband being too tight, the build quality being cheap, and an ultimately low sound level. However, the headphones are very lightweight at 8.99 ounces, a good pick for those going after longer gaming sessions. After putting the HyperX Cloud II on the list, there’s only so much we can say about the HyperX Cloud. The HyperX has all of the core functionality of the HyperX Cloud II, without the inclusion of the extra digital features found on the HyperX Cloud II. The biggest and most significant difference between the two devices is the price. The HyperX Cloud has a base price that’s around $50 cheaper than the upgraded version. Depending on what you’re looking for, you may find that the HyperX Cloud suits your needs, and your budget, better. The HyperX Cloud is often seen as a good quality pair of headphones with a 53mm driver and a neodymium magnet. Most users find the sound quality to be above average and one of the better selling points for this headset. The boom microphone has consistently been viewed as the biggest downside for this headset. Although many users have found it acceptable, with a decent frequency response and audio pickup, there is a noticeable amount of complaints in both forum and product reviews about the microphone being too quiet. Still, the microphone is fairly sensitive at -39dB. The frequency response of the mic is a somewhat narrow: 100Hz to 12,000Hz. There are fewer complaints about the microphone on the HyperX Cloud II, although that may just be a coincidence. Just like the HyperX Cloud II, the HyperX Cloud has a detachable microphone. If you do find the microphone to be inadequate, it is easily supplemented with a different, higher quality device. You’ll find the frequency response is a somewhat wide 15Hz to 25kHz. Although these headphones are a bit quiet with a sensitivity of 98dB, this should be an acceptable pressure level considering they are over-ear and closed back. Most users have found the range acceptable while not being too loud. The overall range is, however, a bit more narrow than most other headphones. The over-ear, closed back design provides for great noise cancellation. The earcups are nicely padded with velour and memory foam. The earcups are interchangeable as well. The headphones work with any 3.5mm input and do not require any adapters. The whole headset is a bit heavy, however, so comfort may be an issue for some users during longer gaming sessions. If you’re looking for a good headset, the HyperX Cloud may be what you’re looking for. The price (~$80) may seem a bit steep, but headsets tend to compromise on sound quality, mic quality, or both. The input and output lines are split at the end, but the device comes with an adapter to compensate for use on devices that only have one port. Although the mic on the HyperX Cloud is not the best you’ll find, the headphone quality is top-notch, and the ability to replace the mic with a better quality one is an attractive feature. Despite the general disfavor that gaming headsets have within the gaming community, the HyperX Cloud II Gaming Headset does receive some noticeable positive feedback in reviews and forums. 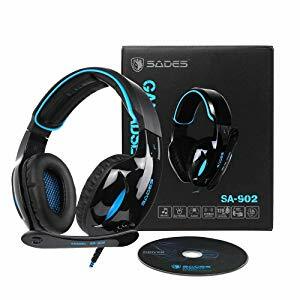 The headset has some qualities that many gamers are looking for, although it also has some features that are less preferable than a high-quality headphone and a separate mic. The sound quality on the HyperX Cloud II is above average. This headset uses a fairly large 53mm driver with neodymium magnets for better sound quality from the low basses to the highs. The frequency response range is 15Hz to 25,000Hz, a fairly standard range that fits well within the human hearing. This gives a bit of wiggle room for those whose hearing is just a bit better than average. 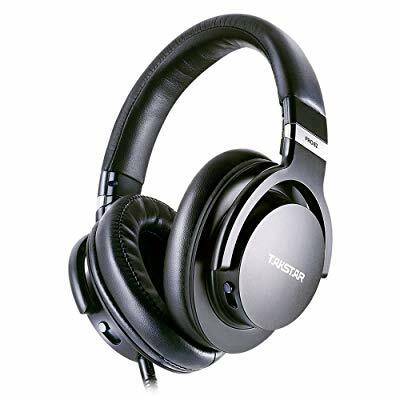 The headphones on these have sometimes been compared to the Takstar Pro80, which for a gaming headset is about as much a compliment as you can get. The boom mic has a 50Hz to 18,000Hz frequency response range and a -39dB sensitivity. It won’t pick up your whispers, and it won’t carry over too many shrill cries. The sensitivity level, 98db, is pretty standard for over-ear headphones. The impedance, however, is a bit high at 60 Ohms and will likely add to a quicker battery drain for wireless controllers. Kingston boasts many sought-after technological features on this headset, including USB audio, 7.1 virtual surround sound and an inline sound card that offers noise and echo canceling in the microphone. Whether or not all of these features are necessary or even good is a hotly debated issue, however. What is certain is that the added features put a hefty price on these headphones at just under $100 on a good day. On the most positive side, this headset is known for its comfort. That high price tag may come with some consternation, but it’s also a result of the velour ear pads, memory foam, an inline controller and a detachable mic. The detachable mic, in particular, may be of interest to some buyers. If you find the mic doesn’t suit your interests or the quality is not up to snuff, it can be replaced easily with another mic, such as the V-MODA BoomPro or the Zalman Zm-Mic1. You may even choose to use it with a ModMic, although the ModMic is more suited for headphones that do not have an input for mics. As with many headsets, common complaints exist regarding the quality of the mic. This headset in particular harbors some complaints about the sound card failing as well. Still, the replaceable mic is a significant selling point. Be warned that this headset is a bit hefty. It sits on the head at 12.3 ounces. In the long run, most users found the headset comfortable, but they may get a bit tiresome over long gaming sessions. The over-ear, closed-back design is good for immersion, but if you’re looking for a wider, more natural profile, these may not fit the bill. These headphones will work with computers and the PS4, but if you’re buying them for use with an XBox One, you’ll need to purchase a separate stereo adapter for the original controller. The Superlux HD668B is consistently mentioned as one of the best quality headphones for the price. These over-ear headphones have a semi-open back that allows for a more natural sound profile. While they’ll let in a bit too much sound in environments with a lot of ambient noises, they operate well in a quiet room with just you and your game. Compared to the other headphones on our list, it’s easy to consider these a “budget” pair. They’re just under $50, which is not entirely cheap but is a fairly good deal for the quality you’re getting. As sound reproduction is the most important feature on any set of headphones, you may find good value in this set. Most headphones tend toward either a fully open back or a fully closed back. The semi-open back on the Superlux HD668B provides a unique experience. They isolate most sounds, but not all sounds. This helps add some realism to the way in which you’ll experience the sound environment in the games you're playing. Gunshots, footsteps, doors opening and closing; they all have an increased sense of space than what you may find with closed-back headphones. Superlux uses high-quality materials in these headphones. The 50mm drivers utilize a neodymium magnet, helping to reproduce sound in better quality. The frequency range is wide at 10-30,000Hz. Although these headphones come with two 3.5mm cables, they are a single input device. With no mic included and only one cable input, you won’t be able to utilize it with external microphones such as the V-Moda BoomPro. However, you may find they are a great addition for something like the ModMic, which can work with virtually any pair of headphones. The two 3.5mm cables are solely for distance purposes. One is 1 meter long, the other 3 meters. Users may find some use for that, particularly if you’re using them for console gaming. However, those seeking to use these headphones for console gaming, and who will be connecting them to their controllers, should note that the relatively high impedance (56 Ohms) will drain the battery a bit quicker than some competing headphones. Users will find that these headphones are fairly light at 7.5 ounces, making them ideal for long gaming sessions. The adjustable headband adds an extra level of comfort as well. However, many users complain about the overall tight fit, which may become an issue for some users, depending on your head size. Sennheiser makes fairly solid, albeit often expensive, pairs of headphones. The Sennheiser HD 598 is often mentioned as a go-to pair of headphones for gamers. The sound quality is among the best you’ll find for headphones. Many users also point to the comfort of these headphones as a huge selling point. Sennheiser put all the trimmings into this one, although it does have a few setbacks that may cause you to consider grabbing a different pair. The Sennheiser HD 598 headphones have an over-ear and open-back design. You’ll note that all of the headphones on our list have an open or semi-open back design. The sound profile created by the open back design allows for a more natural sound profile and a general feeling of a wider open space in the sound reproduction. This adds to a gaming experience that is hard to beat. As such, the Sennheiser HD 598 is typically one of the headphones favored among gamers for that feature. It has a very wide and extremely specific frequency range of 12Hz to 38.5kHz. This makes it quite a bit above and below the hearing human hearing range. So far above and below, in fact, as to perhaps be a bit more than you need. One can only hope that Sennheiser didn’t hike the price up a bit to add in a bit of a superfluous frequency range. The sensitivity on the Sennheiser HD 598 headphones is much higher than on most other open-back headphones: 112dB. Their impedance may seem somewhat high at 50 Ohms, but this number is low when compared to competing headphones. It also makes them the lowest impedance set on our list for headphones. The lower impedance and higher sensitivity may make them a bit more appealing to those connecting them to wireless console controller such as those on the PS4 and XBox One as they’ll use power a bit more efficiently. The Zalman Zm-Mic1 headphone is a separate mic with a clip that can be used in combination with pretty much any pair of headphones. This mic is popular among gamers and is a great addition for those who have a powerful set of headphones. 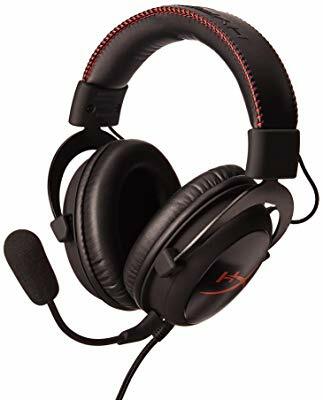 This pair especially well with the HyperX Cloud II or HyperX Cloud if you that you do not like the detachable microphone that comes included with those headsets. The Zalman Zm-Mic1 is omnidirectional with average sensitivity. The sensitivity level, -40dB is fairly standard for most mics and equivalent to the mics included on the HyperX Cloud, HyperX Cloud II, and Logitech G430 headsets. Unfortunately, the Zalman Zm-Mic1 does not have noise cancellation features. Using it in a noisy environment is not recommended, as it will likely pick up a lot of background noise. What the clip include on the mic is made to attach directly to the headphone audio cable. Zalman recommends attaching it as close to your mouth as possible. This mic is possibly the cheapest good-quality mic you’ll find to enhance your gaming experience. The Zalman Zm-Mic1 is a good choice for those who paid a lot for the headset but don’t want to pay an awful lot more for the microphone. You’ll find the Zalman Zm-Mic1 is also higher quality than most of the mics included with gaming headsets, which makes it a good replacement for the mics on gaming headsets. Most users have found the mic more than acceptable. Common complaints tend toward the mic clip, which some users have found to be both too small and too large for some audio cables. The “too small” complaint is less likely to be an issue, but the “too large” complaint has some legitimacy to it. There are also mixed complaints about the mic’s pickup. Some users have complained that the mic is too quiet; others that it picks up too much noise. The high sensitivity and lack of noise cancellation make the latter a more likely situation. If you’re looking to replace a mic or adding a mic to a pair of headphones, the Zalman Zm-Mic1 is a safe bet. At the least, it’s a fairly inexpensive gamble that may work for you. Many gamers consistently point to Takstar headphones as some of the best for gaming purposes. While the Takstar Pro80 is almost as venerated a headphone as one can find, the Takstar Hi-Fi 2050 headphones are starting to get an equal amount of praise. Specifically, their sound quality is looked at as top-notch, something that is aided by the high-quality materials and overall design build. 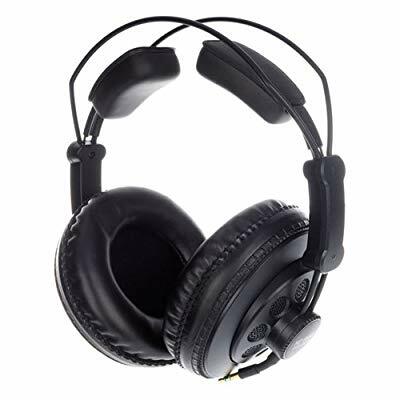 The most notable feature influencing the sound profile on these headphones is the open back. Many gamers are turning to open-back headphones as they provide a more natural sound profile and increase awareness with the outside world. The full open back on these headphones takes some of what is good about the Superlux HD668B design and magnifies it. These headphones create a very real and immense feeling of space. Game sounds are usually crystal clear and real enough to the point where many players express feeling like they’re more inside of the game instead of just playing it. Prices vary on these headphones but expect to pay well above what you could get for a budget headset. The Takstar HI 2050 headphones have an aluminum construction that adds to the cost. They have an interesting frequency range, between 15-25,000Hz, which puts them effectively within the range of human hearing. The headphones reproduce sound with a 53mm driver unit and a neodymium magnet. While they favor the bass a bit, the mids and highs are fairly clear, with many users praising their overall sound quality is excellent across the entire spectrum. The volume level is somewhat low at 92dB, but this is not too atypical for an open back headphone. However, they do end up having a higher impedance as a result. In fact, the 60 Ohms impedance on these headphones is some of the highest you’ll find, which consequently makes them a bit power hungry for those intending to use them jacked into a wireless controller on a home console. You may even need to use an adapter with these headphones to get the best sound quality out of them. These headphones are somewhat of an audiophile gamer’s device. The price (which can hit over $100) speaks to that. On the positive end, that means as far as sound reproduction goes, they provide a fairly immersive and realistic gaming experience. Unfortunately, they’re a bit heavy at over 11 ounces, and they lack a dual 3.5mm cord input into the earphones. Pair them with a ModMic, and you’ll be good to go. Be warned: many users claim that the headband does not extend far enough for individuals with larger heads. This seems to be a running trend among headphones, but it may be a concern for some users. These headphones can be extremely hard to find, and prices can vary. Can be expensive, depending on where and when you buy them. The V-MODA BoomPro is one of the more popular boom gaming mics. It saddles in somewhere between the Zalman Zm-Mic1 and the Antlion Audio ModMic in terms and price and functionality. The V-MODA BoomPro is an excellent addition for those with headphones that use a dual cable input instead of a single cable input. The headphones have a 3.5mm input at the mic end that connects directly to the headphones, and a 3.5mm output end that connects to the computer a computer or other device. The headphones come with a Y adaptor for when separate mic/headphone inputs are required. The mic can work with PS4 and XBox One controllers, although if you have an original XBox One controller, you will need to buy an adaptor to make it work with a 3.5mm cable. The V-MODA BoomPro microphone has fairly standard technical specifications. The sensitivity is -58dB, which is extremely low and very quiet. These headphones should not pick up a lot of background noise, although oddly some users complain that they do. The low sensitivity means you will need to sit as close to the face to pick up the sound. The low sensitivity can be compensated for in the microphone settings on your computer, but if you’re using them on a gaming console, you’ll find that you can’t adjust the specs nearly as much. The V-MODA BoomPro gets a fair amount of positive ratings. However, a consistent amount of users (even those giving this device a positive review) explain that these headphones work well with PS4 and XBox One controllers, but that they have issues functioning with PCs. Those complaints point to functionality issues with the sound card. Other somewhat consistent complaints claim that the left earphone starts going out after using the V-MODA BoomPro over an extended amount of time. Whether or not you’ll experience these issues is too difficult to tell. Most users found this mic to be good quality. If you’re looking for a mic that can plug directly into your headphone something that’s cheaper than the ModMic, the V-MODA BoomPro might be the headphones you’re looking for. The Antlion Audio ModMic is one of the most popular mics available, especially among gamers. The mic is both unique and powerful, with some minor limitations that may make a few potential buyers hesitate a bit. Overall, however, the ModMic comes with a significant amount of praise and is an excellent option for those seeking to either replace the mic on a gaming headset or add a functional microphone for an expensive pair of headphones. It’s important to note that the Antlion Audio ModMic 4.0 is not cheap. Unlike the Zalman Zm-Mic1, which sits at under $10, the Antlion Audio ModMic will set you back around $60. They are no small investment, but their power and features will likely make them worth it for most users. The ModMic is designed to work with any pair of headphones. They work by attaching a small magnet with an adhesive to the side of the headphones. The microphone clips onto the magnet, holding it securely in place. The mic has a swivel function that allows it to move up and down as well. There is a clip that can attach to the audio cable. The ModMic comes bundled with several of the attachable magnets, so you can attach the mic to multiple headsets, depending on your preferences. Functionally, the ModMic has great audio pick up. You’ll find that there are three potential options for the pickup that Antlion offers: muteness unidirectional, unidirectional and omnidirectional. The omnidirectional mic has some of the more interesting specs. It has an extremely high sensitivity: -26dB. You may find that the mic picks up a lot more excess noise than you would want, which is unfortunate for a mic that has no noise cancellation. The other mics each have -38dB, which is close to the -40dB common on most gaming mics. This inevitably leads to some complaints about the sound on the mic being too low. The frequency response on the unidirectional mics is 100Hz to 10kHz, while the omnidirectional mic has 30Hz to 17.5kHz. Ultimately, the omnidirectional mic may be the best option for most people. While complaints do exist from current users, they’re a bit all of the maps and far too inconsistent to trust. Could the adhesive be too weak? Possibly. Does the mic pick up too much ambient sound? Quite likely, especially on the omnidirectional mic which has a higher sensitivity. Chances are, the high asking price is going to make many buyers more critical of any perceived flaws. More likely than not, you’ll be extremely pleased with the purchase.